*Note: Although I have provided coordinates for NPCs and locations, for some reason TomTom waypoints don’t work as expected. 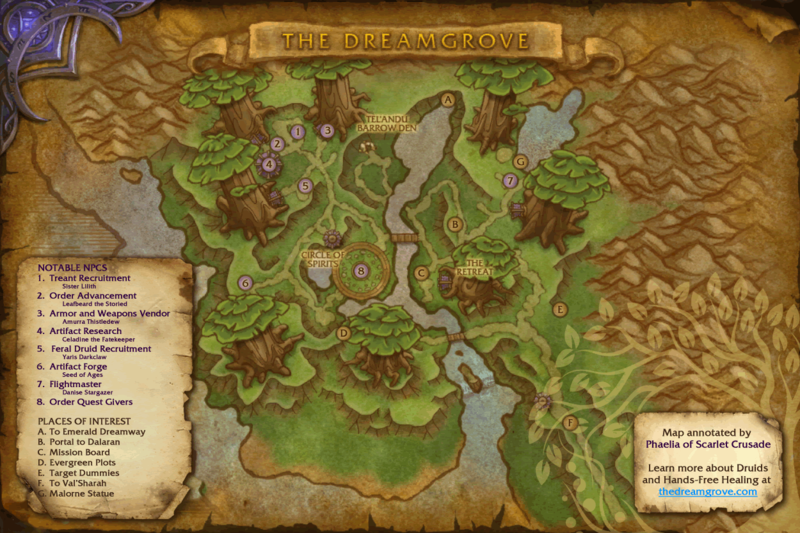 I believe this is because The Dreamgrove zone is still technically flagged as Val’Sharah. This causes your waypoints to be placed in the wrong zone. I am leaving them in case they are helpful with an addon that displays current coordinates.